O’ME O’MY was Chuck Edwards. An absolutely outstanding sailor and a very nice guy. 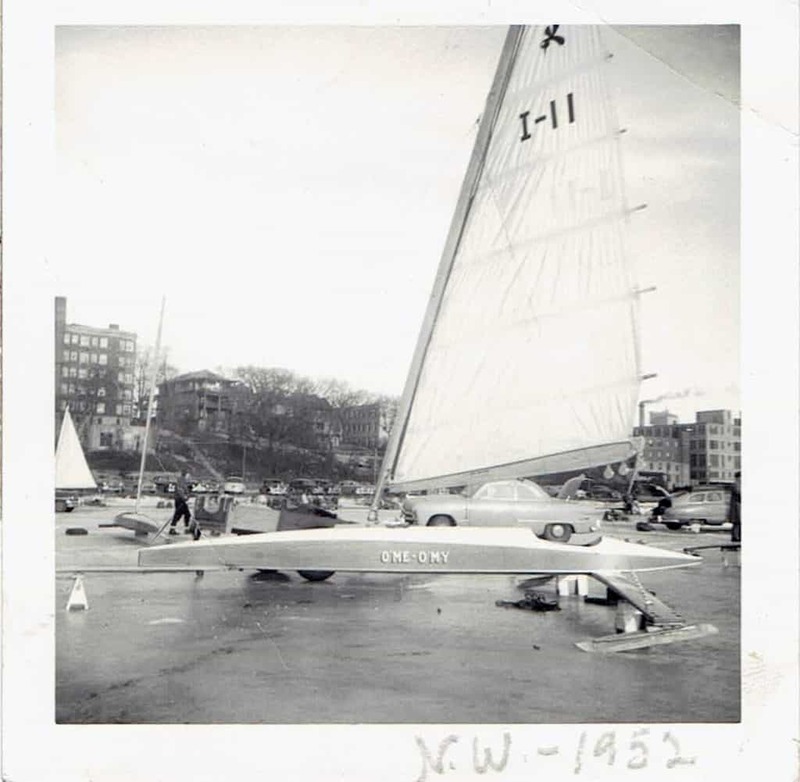 Chuck’s family had a home on the north shore of Geneva Lake and Chuck successfully raced C scows beginning in the 1930’s. Buddy [Melges] told me last winter that Chuck Edwards was the first person to realize that weight of the C scow was important. Chuck and his wife lived in a gorgeous house on Lac LaBelle in Oconomowoc, close to the dam. When I was sailing in regattas at LaBelle I would stop in to chat with Chuck. Chuck’s son, George, had a rumble seat C Skeeter with a Nite mast and sail. The last time I saw Chuck and his wife was at Cuppy Goes’ funeral. Cuppy also was a C scow champion, actually had a fast sail that had originally been Chuck Edwards’ sail. Cuppy was born in December, 1917. I imagine Chuck Edwards was close in age to Cuppy.